Many of you participated in the MRA’s event Run 4 Runners last year. This year we changed things up a bit and are presenting a new type of run called Run 4 Your Cause. This event helps smaller charitable organizations fund raise for their causes. With everything that Winnipeg is offering this summer, registration for Run 4 Your Cause has been VERY SLOW. We need 200 participants to make it viable, so as an incentive to register now, we are offering the EARLY BIRD RATE till Sunday August 13! Remember, the Entry Fees include both the Registration Fee and a $20 donation to one of our Causes. If you have already registered, THANK YOU! And don’t worry, if you paid the Regular Rate, we’ll give you a cash refund for the difference when you pick up your bib. Haven’t decided yet? R4YC includes; the ever popular 5K Awesome Twosome, the New Tri 3.3K for Walkers and Runners, a Traditional 10K Run, a 400m Dash for kids of all ages, entertainment from Papa John’s Blues Band, Massage Therapy, Tall Grass cinnamon buns, one of a kind hand-made medals and the Presentations/instructions will be offered in English, French and ASL! Don’t miss out on this a great event, register NOW and SAVE! To register online, go to: https://www.registrationlogic.com/secure/Register.aspx?E=2749. Or if you prefer, pick up a registration form at Stride Ahead at the Grant Park Mall. 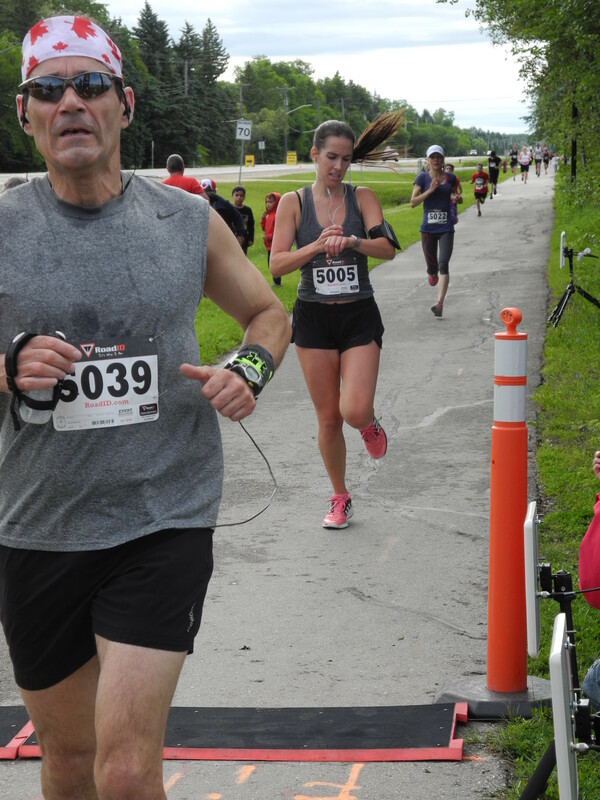 Jean-Christophe Renaud is currently running across Canada as part of an initiative called Cours Pour Ta Vie (Run For Your Life) http://www.courspourtavie.ca/en/ to raise awareness for healthy living. There was another runner with him who had to drop out so he is currently running alone, with Michael Houle driving the support vehicle. They will be arriving in Winnipeg early on Saturday morning and would be very grateful to have the company of some Winnipeg runners as they make their way across the city. The first rendezvous point will be at the Southdale Shopping Centre parking lot by the Shoppers Drug Mart at the corner of Fermor and Beaverhill at 9 AM. The route would be up the Niakwa Trail, then up Osborne and along Jubilee past The Bridge Drive-In. The next rendezvous will be at Stride Ahead Sports in the Grant Park Shopping Centre at 11 AM. Eventually they want to end up in Oak Bluff. JC would love to meet and run with members of the Winnipeg running community. So if anyone can come out for even a few kilometers that would be awesome! Why not combine a day at the beach with a unique run from Winnipeg Beach to Gimli? Coming up on Sunday, August 6th is the Islendingadagurinn 10 Mile Road Race and Jan’s 1 Mile Family Fun Run which are held in conjunction with the annual Icelandic Festival of Manitoba. 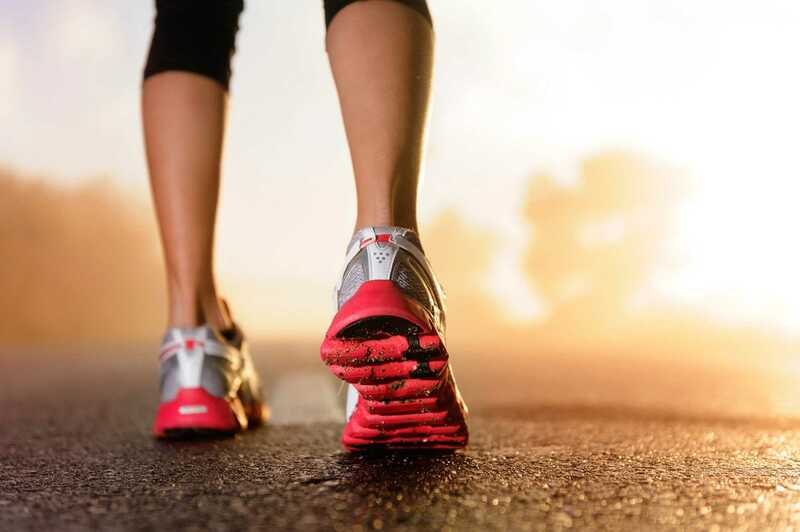 The 10 Mile Race starts in Winnipeg Beach at 8:00 a.m. while the 1 Mile Family Fun Run takes place at Gimli Pavilion Park starting at 8:30 a.m. Visit their race page for more information and a link to race registration. 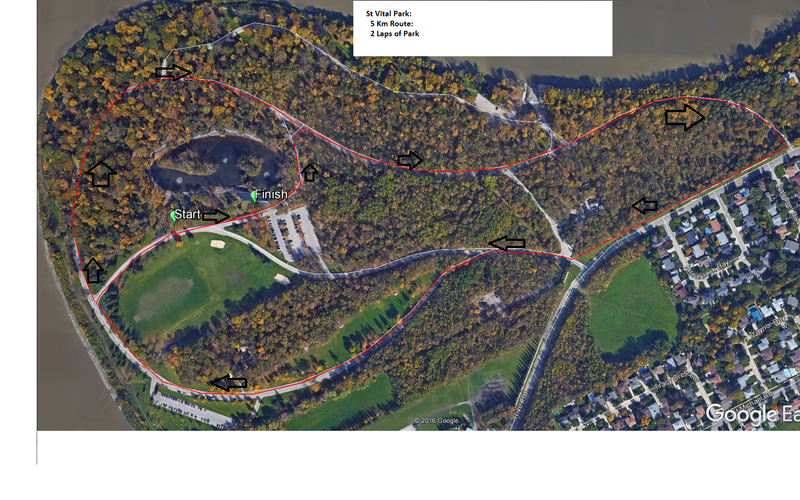 Race packet pickup is on THURSDAY, August 3rd 5:30-8:00 p.m. at Stride Ahead at the Grant Park Mall. 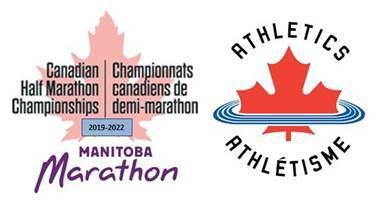 Manitoba Marathon is pleased to announce their selection by Athletics Canada as the host event for the 2019-2022 Canadian Half Marathon Championships. This partnership will see Canada’s elite athletes toeing up on race day for their chance at the title. “The Manitoba Marathon is very excited to host Canada’s top athletes. This is a great opportunity for us to showcase our beautiful city and fast course. We are proud to partner with Athletics Canada in support of the high performance program, and we look forward to creating a great experience for runners of all abilities.” Rachel Munday, Executive Director, Manitoba Marathon. For Athletics Canada’s full announcement, please click here. We would encourage you to share on your social media. August 22, 2017 will see participants become real life SUPERHEROES by conquering their fears and raising a minimum of $1,500. In completing this challenge, participants will rappel down the Manitoba Hydro Building at 360 Portage Ave and help change the lives of Manitoba children, youth and adults with disabilities. Our own John Wichers is one of these SUPERHEROES that has registered for this once in a lifetime experience, for a SECOND TIME!! John has taken on many different forms of fundraising: everything from pledged walks to a cycling event that took him across Western Canada. He went to new heights with the 2016 Drop Zone and now he’s back to do it again for the 2017 event, which is occuring just before his 80th birthday celebration! Securely online at: http://www.thedropzone.ca/locations/winnipeg/. Click the “Donate” button and search for John. Thank you for helping out John! For more information, contact Jesse Reitberger at jesse.reitberger@gmail.com. Perfect weather, a great turnout and some fast times were the story this morning at the East St Paul Canada Day “Super” Run. A nice touch giving all of the age group winners a Canadian Flag. Congratulations to everyone that took part in the 10k, 5k, 3k and Family Run. Check out all of the results here.